HOUSTON (KTRK) -- A neighborhood plagued by car break-ins may finally see justice. HPD caught a man in the act of smashing into cars on Poinciana in northwest Houston. People who live on Poinciana have seen enough of car break-ins, so HPD decided to do something about it. 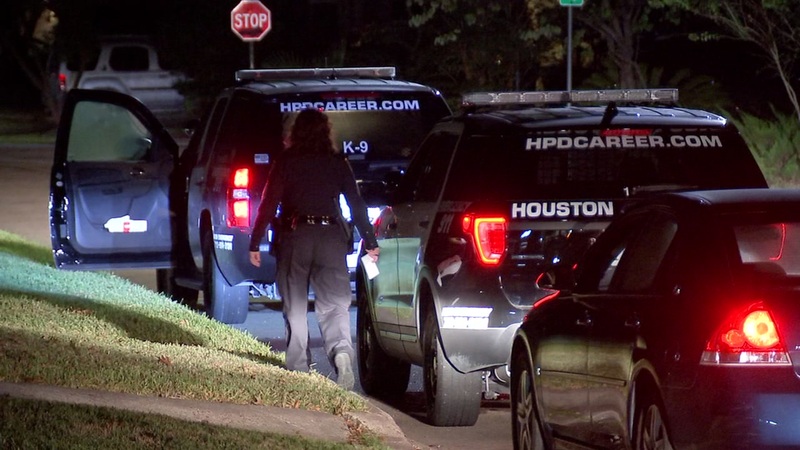 HPD put undercover officers in the area hoping to find the people who are committing the crimes and that effort paid off in a big way. Overnight those undercover officers say they saw a man breaking into yet another car in the area and they moved in immediately to arrest the guy. The suspect took off running but because the officers were already in place, the suspect did not get very far. "They attempted to arrest him, he ran off on foot, officers set up a perimeter," says HPD Lt. Larry Crowson. "We used K9 and helicopters, the K9 located the suspect hiding under a truck, he was bit by the K9, he'll be transported to the hospital to be checked out." Police say they also found a gun on the suspect, That man is going to be charged with burglary, evading arrest and unlawful carrying of a firearm.